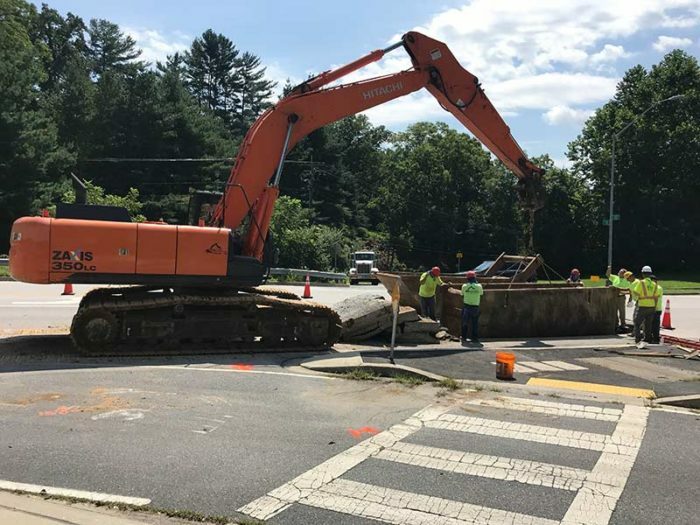 Cedar Lane Sewer Extension – Utilities Unlimited, Inc.
UUI was contracted by Howard County to complete a routine sewer extension. However, this was routine sewer extension. All 1000 LF of 8″ sewer main, at an average depth of 15 feet, was within Cedar Lane located in Columbia, MD. UUI had to manage multiple subcontractors daily, such as traffic control and dump trucks, to complete the project on time and on budget. The project is on schedule to be completed by the end of September 2018.